The options available for how we can order and drink our coffee these days are endless. It’s nice to have so many options, coffee has thankfully come a long way from the old instant days. We can add a touch of vanilla, cinnamon, cardamom, nutmeg and even cacao to spice up our cup of brew. Recently there has been a new spice on the block appearing on our coffee menus, you guessed it, turmeric. This funky spice can be added to your morning latte or its strong enough to stand on its own and can be easily made into a latte just using cold-pressed turmeric juice and almond, cashew or coconut milk, no coffee needed! This golden spice seems to be popping up everywhere, it’s defiantly the new trend. What benefit can it really have? Should we be drinking it instead of our morning coffee? Should we be adding it to our coffee? First a little about what turmeric actually is and why all the fuss. Turmeric is a spice native to Southeast Asia and it is a cousin to ginger. The ground yellow spice that we buy is made of the ground roots of the plant. 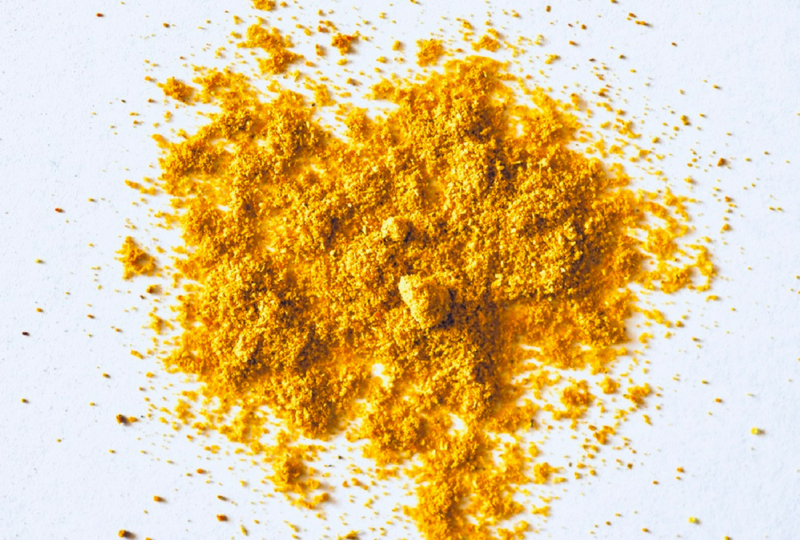 This yellow spice has been used by many cultures as a wonderful natural dye. Turmeric itself isn’t the star of the show it has a component within it called curcumin, curcumin is the star. It has powerful antioxidant and anti-inflammatory properties with revolutionary healing potential. While we should never change or modify our diets because of a trend adding a little spice like turmeric here and there might help with a laundry list of things. A brilliant scientific report published in 2013 (You can read it here) compiled the results of a collection of clinical trials of curcumin over the prior 50 years. This report claims curcumin has “promising effects” for health issues that many of us suffer from or want to avoid. The list is long and when you read through all the health issues it can help with it’s fascinating, I have listed some of the health issues below, however, there are much more in the report. The issues with Turmeric being such a powerful little spice it can also affect some medication and some existing health issues and you should consult your doctor before jumping head first into this new trend. With anything, there is a positive and a negative element and you need to be sure that it’s right for you. This golden spice has created a whirlwind of interest, I certainly have joined the masses when it comes to enjoying the health benefits of turmeric but like everything, it’s about balance. Trends that pop up as the latest and greatest are exciting but it’s best to work out what works for you. If this funky spice is something that might help well that’s brilliant, if not I’m sure there’s something new around the corner that might just work for you. Love WHAT’S THE DEAL WITH TURMERIC? Or know someone who needs to read this? Please share away!